This light up wreath is smaller than a real wreath but that doesn’t matter. What it lacks in size it makes up for in character. 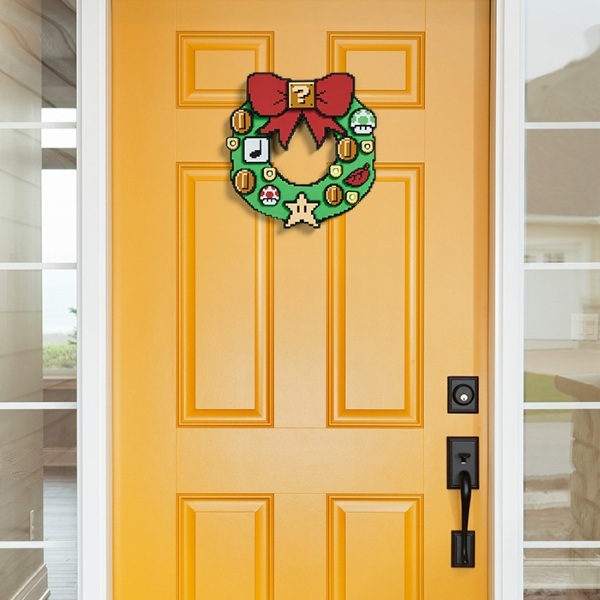 This twinkling door ornament will make you thinks of your merry days playing Super Nintendo which somehow remains one of the most memorable systems with the best games. Like, did you play Mario RPG? What even was that? Anyway, adorned with memorable power ups and what not from the classic game. It runs on two AA batters and contains 5 LEDs that sparkle on and off. Currently $11.99.